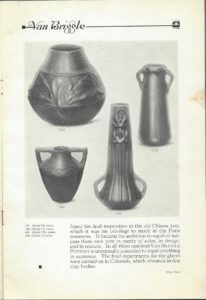 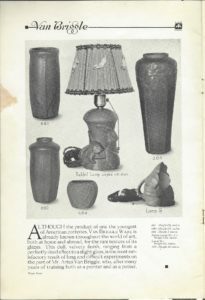 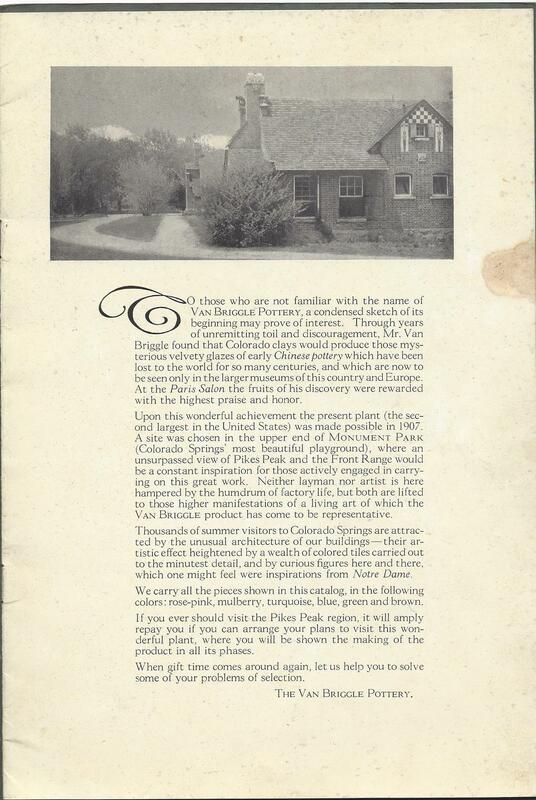 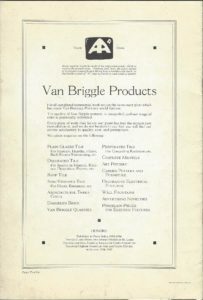 Van Briggle Original Brochure – post 1912 Why do we think so? 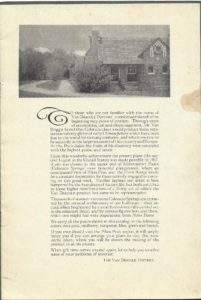 This brochure was copied years ago in a slightly larger format, with a green cover; and sold on ebay. 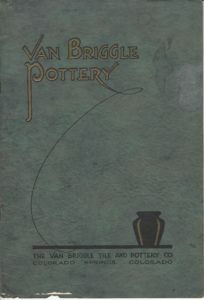 It has been said to have been produced originally in 1907. 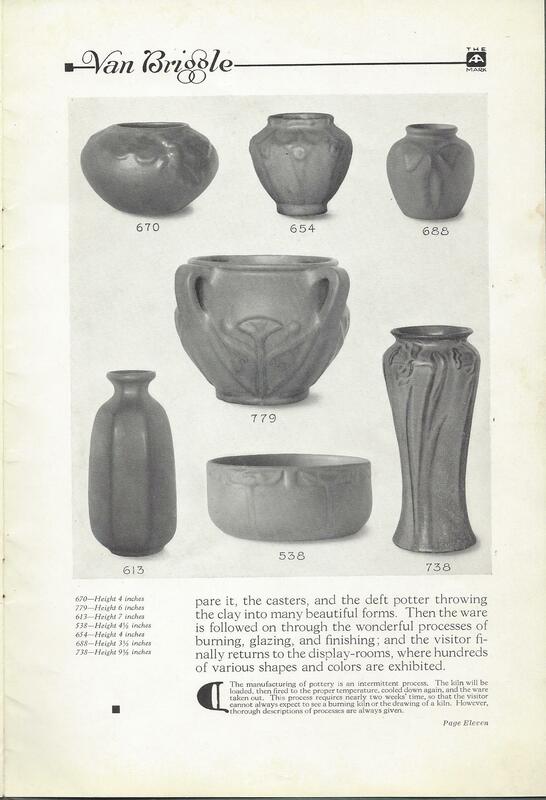 This cannot be the case: (1) Design numbers are included that were not created until 1912! and (2) the last page lists the names of Artus & Anne Van Briggle incorrectly as Artemus & Ann! 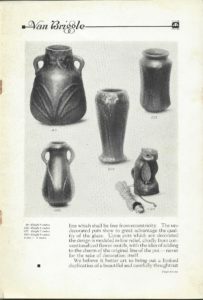 Anne was with the pottery until some time in 1912; & I am certain would not have permitted both their names to have been misrepresented. 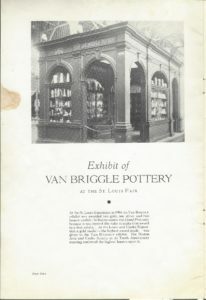 Copies of this original copy are shown. 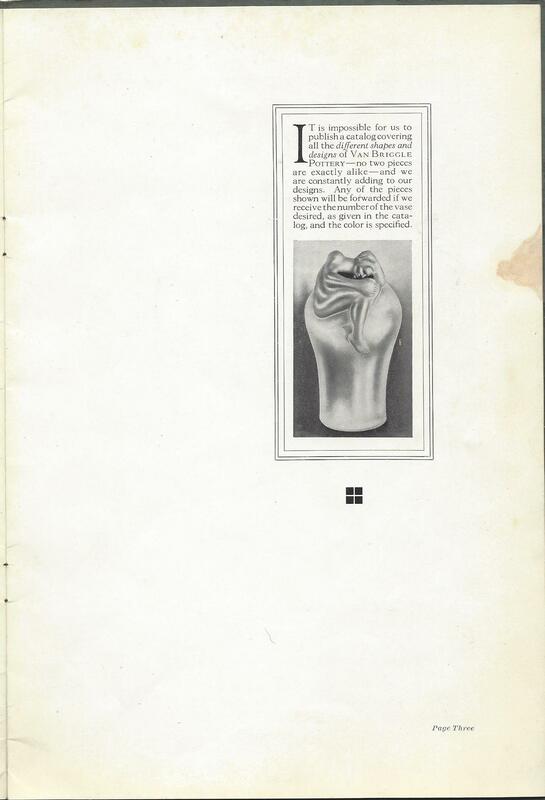 The brochure is 10 1/4″ in height & 7″ width. 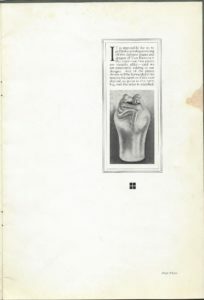 It has yellowing on the pages, a stain throughout most of the pages at the top right edge, and the bottom of the cover edge shows some fraying. 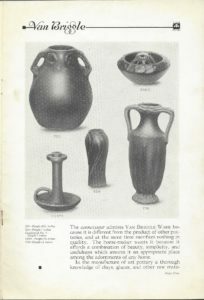 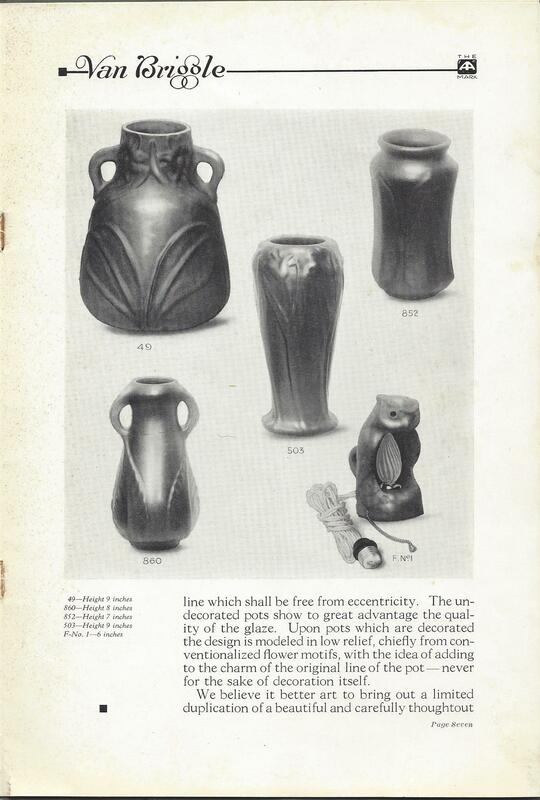 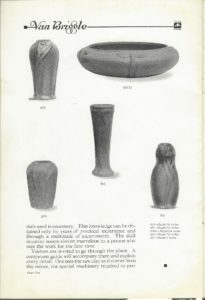 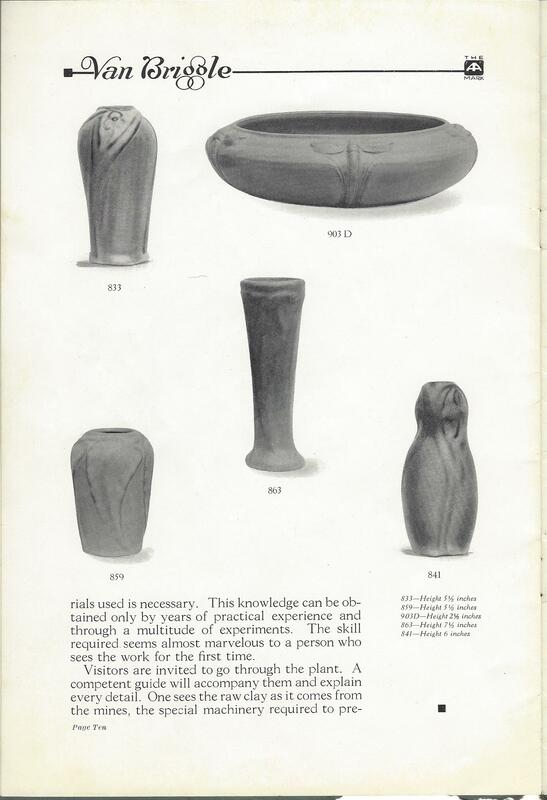 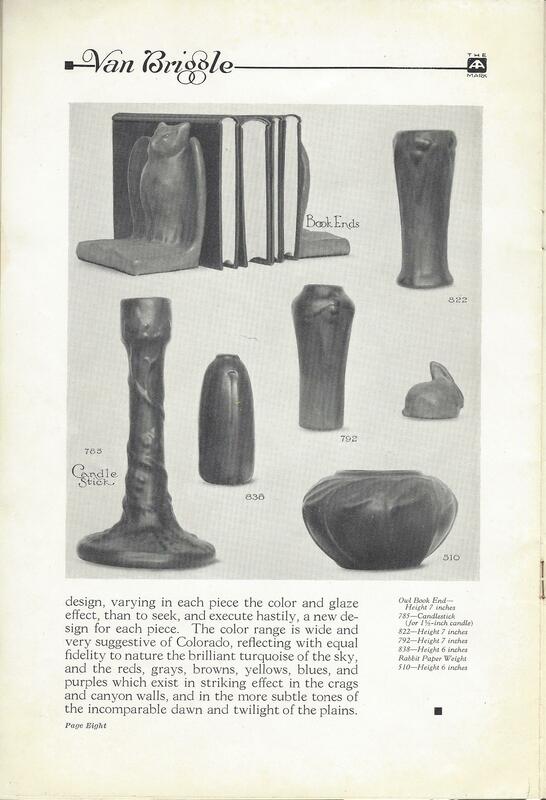 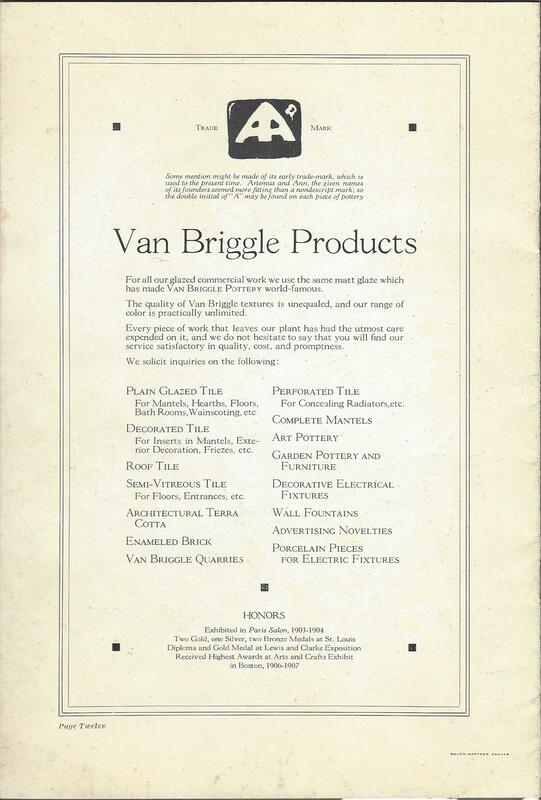 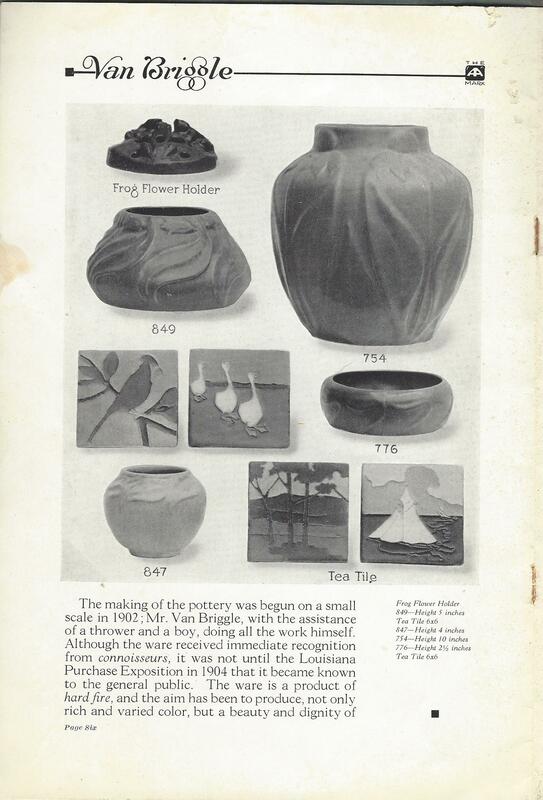 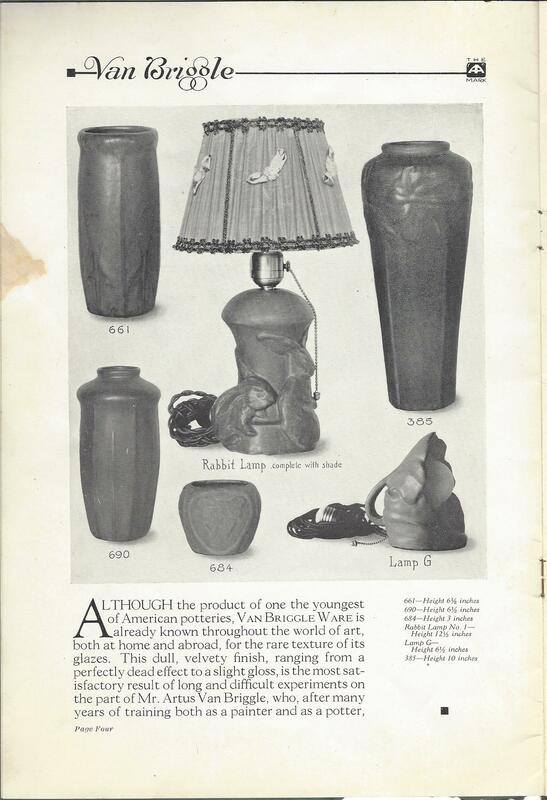 Please read page 12, a listing of Van Briggle products made at this time: Yes, we have seen examples of all of these, although some are quite rare!